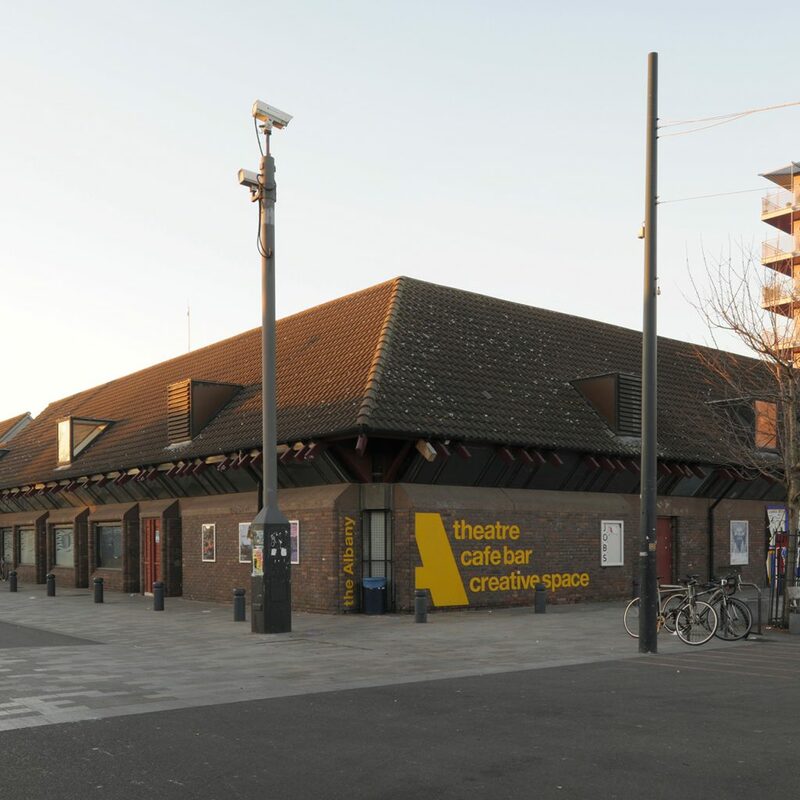 The Albany is a creative and enterprise hub in South East London, hosting a diverse range of creative and community organisations within our building. As well as office space and other facilities, we aim to offer our resident companies a creative community, with collaboration at its heart. We work with many of our resident organisations in a variety of ways – as artistic collaborators, as partners to deliver our community programmes and as clients. The Afghanistan and Central Asian Association provides support, skills and knowledge to help communities live and prosper in the UK. England’s leading organisation for performance poetry and spoken word. A creative media company producing high quality content across multiple platforms. Entelechy Arts is a participatory arts company who collaborate with people from marginalised and excluded communities. An award-winning creative arts company who believe in the talents and power of people with learning disabilities. ITC represents, supports and develops the professional performing arts in the UK. Present ground-breaking new theatre by South Asian women writers. LEAN champions arts education in Lewisham for children and young people. A social housing provider who manage 19,000 homes on behalf of Lewisham Council and invest in the local community. An independent charity for people with learning disabilities, who specialise in advocacy. The team who look after Deptford Market. A performing arts charity who run classes, workshops, performances and events for adults and children of all ages. A nationwide organisation which provides accommodation and outreach support to vulnerable Young People and Adults. The Poetry Translation Centre gives the best contemporary poems from Africa, Asia and Latin America a new life in the English language, working with diaspora communities for whom poetry is of great importance. A recruitment portal providing trained and talented Chefs for the catering industry. Providing specialist support to women and children who may be experiencing a variety of forms of gender-based violence. A festival with a specific mission to widen participation and build diversity in science, technology, engineering and maths, STEM, through the Arts. Producing bold and powerful participatory arts with voiceless communities and individuals. London’s writer development agency, supporting writing talent to ensure that publishing truly reflects the diversity of the city. A design studio that explores collaborative, creative and experimental solutions within urban communities. A fully mutual housing co-op based in Southeast London. A theatre company who invest in British East Asian emerging and established actors, writers and directors and nurture and champion those artists. Interested in office space at the Albany? We offer a range of options for working space, with units of various sizes available, all with access to our newly refurbished café and community garden. Broadband and phone lines can be included at your request, as well as discounted rates on rehearsal and meeting spaces across our three-site portfolio. Situated on the train line from London Bridge and Cannon Street, a short walk from New Cross Overground and Deptford Bridge DLR we are ideally located in a busy and rapidly growing area, perfect for start-ups and artistic organisations alike. Would you like to take a look around? Get in touch with Robert Fellman to register your interest.